Cloned from db Seimeins by beate. Info: Created on 25th September 2015 . Last edited on 30th September 2015. 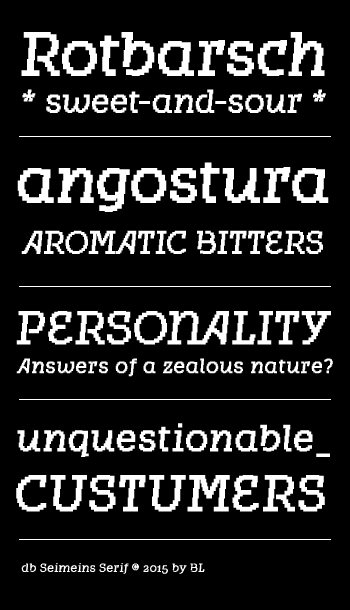 An italic that isn't simply a slanted alternative, but also features serifs and some newly conceived glyphs. Strong and unique in its own right but still totally related to the original, a beautiful pixelfont!